Foxit Reader : The Best Alternative To Adobe In PDF's Arena? Foxit Reader : The Best Alternative To Adobe In PDF’s Arena? Adobe systems have always given us more options than ever. With PDF that it brought in early 2000’s, the company took a great leap into publishing. What’s more, the PDF format became a household format in eBook or eText users. People who were looking to get to computers and eReaders, found PDF to be the most useful one. It was after all one format that did what it said. No frills attached. You could practically open PDF in different platforms. And if you were using Mac, was iOS or Linus, you still could use PDF. The were no extra requirements. Having said this, Adobe for longer had its grip on everything related to Pdf file format. It could make, edit and view or export the file. Most of the times, you could use Adobe Acrobat reader to achieve all this and more. Until Foxit came along the way. Like we saw in the earlier discussion, Adobe was usually the solution which gave everything to make and break PDF’s. Additionally, you could edit the PDF’s and when exporting you could still encrypt them as well. This added to a long list of advantages you could have with PDF over Doc, TXT, XHTML or TXT, XHTML or RTF. PDF came out to be a versatile eBook format. Even while other formats like ePub, Mobi, and CBR, came out in full force, pushing the past, PDF held its ground. You could still use the PDF file on multiple platforms and for other singular purposes. Of course, with all the great features came along with a little disadvantage. The most obvious thing that an average user could see within PDFs was its lack of editing capacities. This is where many tools cropped in the market, which claimed to do the trick for you. After all, that was the need of the hour. One of the major players among them was Foxit reader. Foxit reader, even now, caters to help out users with editing PDF files. It has almost become an exclusive alternative for the Adobe Acrobat. But then why would anyone want to use Foxit reader, when they got everything they wanted from Acrobat reader. Well, the straightforward answer came through the pricing of the tools. Although Adobe Acrobat was available for free, you needed to pay out a few dollars, to unlock other features. Now, apparently, people looked out for the opportunities. And other alternatives. Hence, came the Foxit reader. 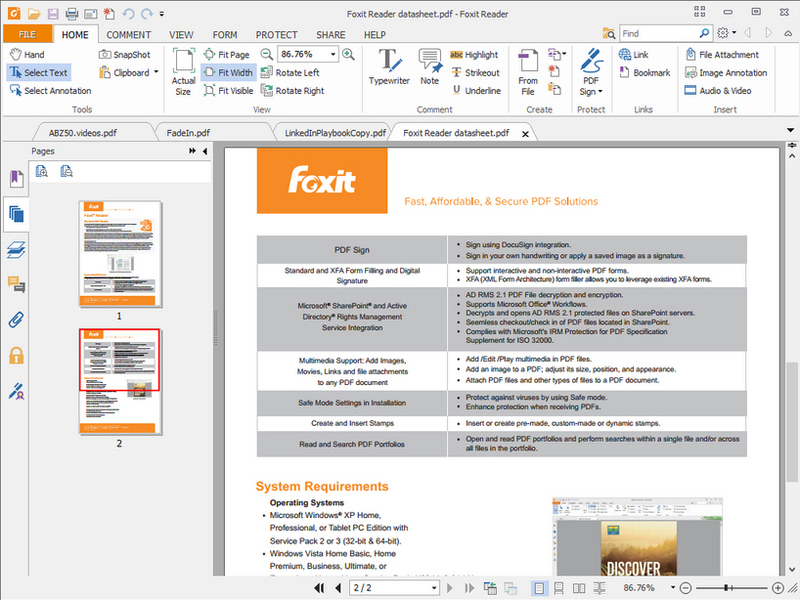 With Foxit Reader, you can do all that you want to do with PDF with no worries at all. Additionally, as we see in the following discussion, you will find the tool has multiple uses beyond confines of PDF readers and editors. When we look at the Foxit Reader, the first thing we need to know is that the reader is purely PDF tool. Yes, with time it has come to support multiple formats, but it is primarily the PDF capability services that it is known for. The company claims that there are over 435 Million users of the tool all over the world, which speaks volumes of its utility. And the trust that the people put in this tool. When we look at the history of the Foxit Reader, Foxit Software was founded in 2001 by Eugene Y. Xiong to develop similar PDF software products to those from Adobe Systems and other PDF vendors, and offer them at lower prices. This move dented the reputation of Adobe in general and PDF specifically. To add to the wound, the Foxit reader gave out these following features which made using Foxit Reader all the easier and effective than the default Adobe Acrobat reader. Connected PDF – Extends the ISO PDF standard and enables a wide range of cloud-delivered capabilities. We shall discuss this in the discussion to come. Convert PDF to other formats of PDF like cPDF formats which are usually used to encrypt the files and send them over safely. Of course, most the PDFs are simply very secure; this cPDF is something beyond them. Participate in PhantomPDF Business initiated connected reviews without having to set up a shared server. Thus, you get to explore what is happening around the world and get to keep the technology at your tips. Never again miss out on important updates and new ways to get the best out of your PDF’s. Receive document update notification. Send a request to other users to get files you want or accidentally deleted. Thus, you can easily recover your files which you may have deleted from your system. Of course, this is one of the many advantages you have when you get going with the forum discussion with Foxit reader. As we can see from the above discussion, one thing is clear, that Foxit can make PDFs all the more effective. You can use PDF, almost on par with Enhanced Ebooks which are coming out these days. That is the best potential of PDF which not many people know of. In the below discussion we will see how Foxit Reader helps you realise this most effectively. With Foxit Reader, you can tweak PDFs as you want. For a long time, PDF’s have always been this restricted, purpose to purpose closed systems. You couldn’t get around to tweak them and make them into different. However, post PDF updates in the late 2000’s, software came up with engines that could change them. Of course, you had the security of PDF still intact, but it was a bit liberal now. Software tools like Calibre, Sigil, Scrivener, bringing PDF editing capacities to the normal users. Additionally, the average users could use Microsoft Word (MS Office Suite 2010 and onwards) to edit and save word documents in PDF. Naturally, this is a two-way street, which allows MS word even to process and edit PDF files like any other. Of course, there is where Foxit reader comes into the picture by giving full abilities to the user. An average user can view, open and edit PDF files. In the new updates, the user can also get to convert the PDF to Mobi or PDF to Doc, etc. In this regard, we have to remember that the DRM (Digital Rights Management) protection is a factor here. Therefore, you cannot get to edit and convert the PDF files which are under DRM encryption. For such facilities, you may have to give an Adobe ID and get registered, which is a longer process. And by the end of the day, you cannot confirm that you can edit PDF files. Today is the age of cloud computing. With PC systems, Mac Devices and Smartphones, as depending on Cloud for storages and operations, we are in luck. The main advantage that we get when we register for cloud accounts like DropBox, Google Drive or any other, is that we never lose our data. Our data is always backed up in the cloud. This means, even if we accidentally delete out files, or lose them somewhere, we can always turn to the clouds. See that’s the main benefit you have with clouds. The data is always there. Safe and Secure. The concept gradually came to existence for documents and text materials as well. You just need to upload, create, edit or modify them, by connecting them to a cloud account of your choice. In this context, all the cloud accounts offer you the same liberty in working on the files online. Thus, PDFs were not to be left far behind. Eventually, Foxit Reader came about giving the cloud-driven abilities to PDFs. With registering for a cloud account in Foxit reader, you can see that the PDF’s are auto loaded into them. Upon opening the software tool, Foxit reader ensures that the PDF files in the system are got up to the cloud. Also, the users can simply systematically change to all of them. Perhaps one of the innovative projects you get while using this tool is the ability to interact in more than one ways. We are talking about tapping into the potential of community-based learning. So the process here is simple and informative. Once you start using this tool, you will have to register into the tool setup with your login credentials. This will allow you to create a user detail for using in the online groups of the community. With the initial setup done, you can register for a program called PhantomPDF. Once a user is in the PhantomPDF complete review systems, he is allowed to discuss and get information about the latest happenings around the using of PDF’s. And in turn, give a great deal upwards for your business. Your business becomes the next participant in the digital revolution. And if you are in the business of publishing, you have a better chance of making it to the worldwide publishers within the forum. Thus, with technology will help you cater to participative growth in the world. Remember how we use online document tools with our team to make live changes to it? If you are using collaborative text editing tools like Google Docs, you will have a fair idea as to what we mean. As with Google Docs, you and your team can open the same file, at the same time, and from remote locations and keep on editing and make modifications to them. All of these changes are reflected and implied in the Document on a live basis. You can see the changes going on practically as and when they happen. You can also backtrack and undo some of the editings that your teammates may have done. Other additional features include collaborative comments, project distribution which allows you to split the whole project into smaller operating parts. Each team or person has their work defined. As per the above discussion, we can see that collaborative works in the next step in ease of publishing. However, most of the times we can see that this kind of tools works well with open source Documents. Most of the time, these include Doc, Excel and PowerPoint type of formats. However, with PDF the case is different and a bit more restrictive than others. PDF is made on the premise that most of the editing is restricted, except of course if you are using Adobe Acrobat reader. Usually, this involves registering as a user in Adobe cloud account. Of course, with this sign in, you can induce cloud-based editing and maintain the PDFs as you want on the online cloud storage. However, with Foxit Reader, you can do so with a simple login process. You create an account and make your team do that (or select an existing group of people to work on it). Usually, we never see that PDF tools extend the same type of services on different platforms and devices. However, the needs remain the same. You always have a situation where you may need to change, edit or modify the PDF files in your systems. And systems include Mobile systems (Android or iOS), Desktop systems and other electronic devices. Of course, most of the times we don’t find the perfect means to do that. We can see that this scenario changes when you get Foxit Reader for your use. And this saves up much time and resources when you are working on multiple PDF catalogues and want to access them remotely. Presently, you can do this by Foxit Web clients and executable file which you may download for free. You can get the official Foxit reader and editor from Google Play store in case of Android smartphones. The same is the case with Windows Store and iTunes, in the case of Windows mobiles or iOS based devices respectively. Now, this feature is utmost useful for a Publishing Company which is focusing on getting PDF-based documentation out from a remote location. What works for Foxit reader is the way in which it offers consistent PDF experience all through. It doesn’t matter where you use it; the reader always gives you an intuitive experience in using PDF’s. 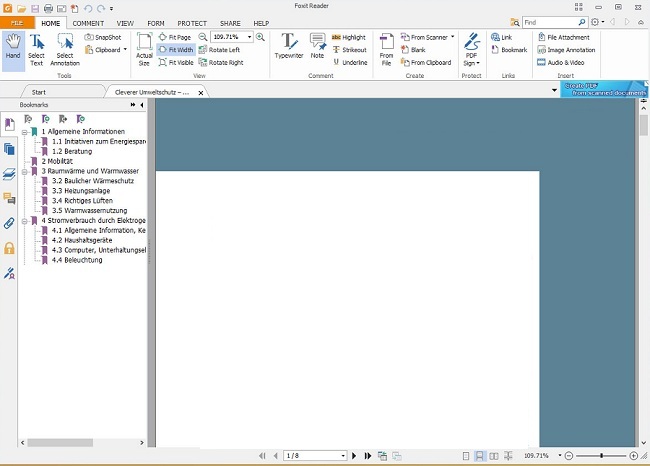 As we saw earlier, Foxit PDFs also offer Connected PDF options which allow your team to work together on PDF projects. Therefore, In parallel to Adobe Acrobat solutions, Foxit Reader provides an all-round feature set to use PDFs in the best way possible. In this regard, Foxit is available for Windows, Mac, and Linux desktops. And in the same vein, Foxit Mobile PDF is available for iOS, Android and Windows Phone. Additionally, ConnectedPDF is also available for Foxit Reader for Mac 2.0 and Foxit MobilePDF version 5.0. As we already know PDF is focusing heavily on the security of things rather than editing features. Most of the user use PDFs to share confidential files across the internet and the web, amongst their circles. PDF format gives you that edge. And what’s more, they can easily be opened when on eBook readers like Moon Reader, Aldiko, Helicon, etc. once you have the key? For these reasons PDF is preferred by millions to share information and rights protection becomes a great initiative for it. This holds relevance when you look at the simplicity of use. If you have the latest Microsoft Office in place, you can create an encrypted PDF quite easily. However, while you can easily protect them, eventually you will need the same tool set on the receiving end to open it. And that’s why all the major web browsers give you options to open PDF. Foxit security suite gives you the ease of protection without any complicated techniques involved. Typically the suite is compatible with Microsoft Office and PDF formats. The end users can install either these or Foxit reading tools to open the PDF file and access it within any platforms. The features on offer here are annotating, editing, organizing documents. And perhaps this is why Foxit PDF Security Suite in Microsoft Rights Management Services environments, is the best deal to go with. Microsoft already has features which give out rich information management solutions, and Foxit components truly make it easier than ever. You can use the Foxit reader tools to create the redacted format which can eventually be read in almost any type of PDF readers. Now, what exactly is redacted format? Well, to explain it plainly, it is the form of PDFs, which you can practically open up in any version of PDF and any device which supports PDF. So to plan it out, Redactor makes your PDF worthy of any reader. Redactor although looks like a simple enough idea then you can easily make it work in different ways. You can make hybrid PDF format, which you can collaborate with the security features loaded in. With Foxit Redactor, you can easily create professional and secure PDF files from within Microsoft Word, Excel, or even PowerPoint. You can quickly select sensitive information or areas to redact and then generate a redacted PDF document. Readers will see your document in the redacted format in any popular PDF viewer. Also, you can create a hybrid RMS-protected PDF document that will make the redacted content visible to anyone with a RMS-enabled PDF reader and the right credentials and authorization. Foxit Redactor for Office preserves your bookmarks, links, hyperlinks, outline, and more. You can also use it to create regular (non-redacted) PDFs and add password/certificate protection in Microsoft Outlook and Visio. Apart from getting the PDF files to become a force to go ahead with text editing, Foxit offers many other features to bring about change; You can get a whole package of using PDFs with Foxit Reader suite. You can be sure that this enterprise has all the solutions for any PDF needs. 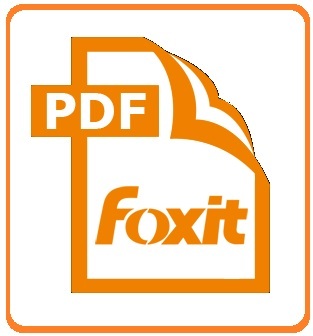 Now, apart from being a great reader and solutions provider, Foxit forayed into providing new technology to PDF’s. One of the features that came out because of this PDFium project. With this project, Foxit showed that they could define the future of PDF, even perhaps more than Adobe itself. PDFium allows users to turn to Foxit solutions, which help you draft the perfect solutions. Foxit SDK now makes it easier to use for the PDF developer community by providing custom builds of PDFium, special interfaces to integrate PDFium with Foxit’s other more powerful PDF SDKs, priority support and professional services to ensure that customers can use an open source project in their projects with confidence. Now since we’ve seen the prominence of Foxit reader in the space of PDFs and another text editing, what does this tell us? Well, to start off the things, we can safely assume that preparing and protecting PDF’s is not a cake walk. For that matter processing, even other formats are not that simple either. What we get as output is something straightforward and intuitive to read, but to make it that requires a highly efficient Typesetting criteria. Not only this, you may need to have a professional publishing services company by your side looking after your work all through. Without this type of support, the project may never come out as expected to leave the users to lurch. When we say a professional publishing company, we mean an enterprise who understands your editing needs. One which can look beyond the usual confines of the market, and go the extra distance to bring out what you want. We are an internationally reputed eBook publishing services portal, who believe in getting the excellent products to the stands. Drop us a mail, and we’ll get to making your product become the best there ever was in the publishing market.